Mt. Kanchenjunga (8,586m/28,170ft) is the third highest peak in the world. The Kanchenjunga Base Camp trek lies in Eastern Nepal bordering with the Indian State of Sikkim and Tibet of China. The Base Camp of Kanchenjunga is perhaps one of the most remote trekking regions all over the world. Mount Kanchenjunga was first climbed by a British team in 1955 and opened for organized trekking groups since 1988 only. Mt. Kanchenjunga, the “Treasures of the Snow” is well-known to be the home of the legendary Yeti. 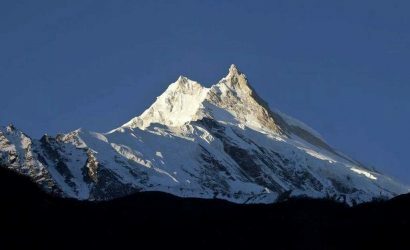 Additionally, Kanchenjunga area with its unique mountain ecosystems has a consideration as a tri-national peace park with Tibet Autonomous Region (TAR) of China to the north and Sikkim of India in the east. The Government of Nepal has protected this region as a conservation park. WWF has also recognized Kanchenjunga Conservation Area Project (KCAP) as a Global Eco Region. 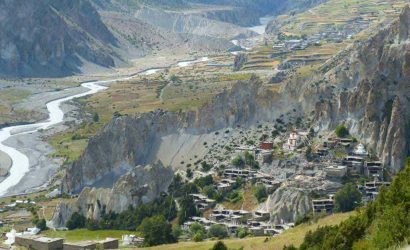 The Himalayan animal species residing here include-red panda, black bear, musk deer, blue sheep, rhesus macaw and the elusive snow leopard. Likewise, the flora here is inspiring with 1,200 species of flowering plant, 69 types of orchid and 30 varieties of rhododendron. The Lapsang La Pass (5,415m/17,766ft) and Sinion/Mirgin La Pass (4,665m/15,305ft) are yet another challenges in the Kanchenjunga region. The north face of Kanchenjunga seen from Pangpema is truly unforgettable, therefore a worthy destination to visit. 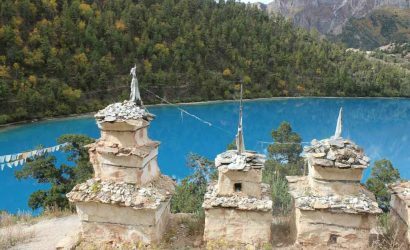 Fly from Kathmandu to Suketar (Taplejung) and trek to Jogidanda (2,060m/6,758ft). Trek Jogidanda to Chirwa (1,800m/5,905ft). Trek Chirwa to Sekathum (1,650m/5,413ft). Trek Sekathum to Amjilosa (2,460m/8,071ft). Trek Amjilosa to Yangswa (2,800m/9,186ft). 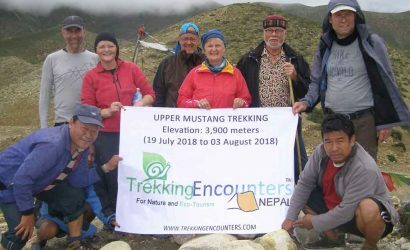 Trek Yangswa to Ghunsa (3,430m/11,253ft). Trek Ghunsa to Rampuk Kharka (3,800m/12,467ft). Trek Rampuk Kharka to Khambachen (4,040m/13,255ft). Rest day at Khambachen for acclimatization. Trek Khambachen to Lhonak (4,790m/15,715ft). 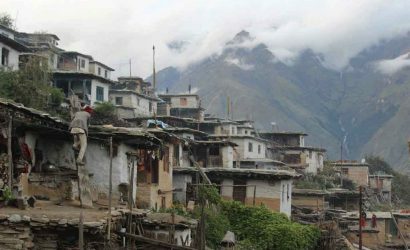 Trek Lhonak to Pangpema (5,140m/16,864ft). Trek Sallerie to Tseram (3,750m/12,303ft). Trek Tseram to Ramche (4,360m/14,305ft). Trek Ramche to Oktang and return trek to Ramche. Trek Ramche to Torontan (3,080m/10,105ft). Trek Torontan to Lamite Bhanjyang (2,920m/9,580ft). Trek Lamite Bhanjyang to Yamphudin (1,650m/5,413ft). 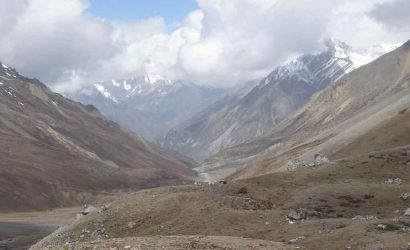 Trek Yamphudin to Mamankhe (2,000m/6,562ft). Trek Mamankhe to Kharde Bhanjyang (2,100m/6,890ft). Trek Kharde Bhanjyang to Suketar (2,300m/7,546ft). Fly Suketar (Taplejung) to Kathmandu.